Playing for laughs: Stephen Bailey. REDDITCH is playing host to one of the top up and coming talents in British comedy in March, writes Tom Banner. 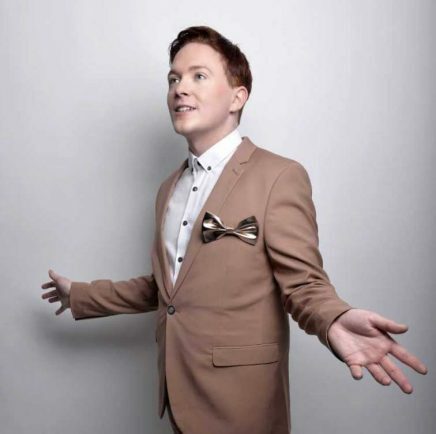 Stephen Bailey will bring his ‘Can’t Think Straight’ tour to the Palace Theatre on Saturday, March 3 tackling everything from celebrity culture and dating to politics and working-class family life. Speaking Stephen, aged 31 and from Manchester, said: “The tour is going great, the constant train travel is the only thing getting me down. “I worked out this week I have been on the train to various places for 24 hours. “The name of the tour came about at the last minute. When you perform at Edinburgh you have to have the title ready in February even though the show is in August. Stephen has supported Katherine Ryan on three tours, and says: “Katherine is just the most amazing person, she is great to be around. His influences are a mix of different comedians, but particularly Sarah Silverman and Amy Schumer. As well as appearing on ITV2’s CelebAbility and Channel 5’s Big Brother’s Bit On The Side, Stephen was also nominated for best show at the Amused Moose Comedy Awards. So what can the Redditch audience expect? He said: “The show is a bit blue but there is a bit of everything in it. “There’s good relationships, bad relationships, a bit about my family and holidays we have been on. Stephen is also a vocal supporter of LGBT rights and regularly writes for Huffington Post and Attitude Magazine, who voted him one of their top 100 bachelors of the year. On LGBT rights, he said: “Half of the battle is changing the narrative and how we are covered in the media. “I am a gay man and one of the best things is that my show has a very big heterosexual audience. Stephen is a black belt in Tae Kwon-Do, has a degree in Languages and loves a conspiracy theory: “I just find the surreal things you read about like glossy magazines like ‘I married my mugger’ absolutely fascinating,” he said. Can’t Think Straight will be at the Palace Theatre in Redditch on Saturday, March 3 at 7.45pm. For tickets visit the Palace box office or go to www.redditchpalacetheatre.co.uk .